Hope everyone had a fun and exciting (or chill and relaxed if you preferred) weekend! Ours was great! 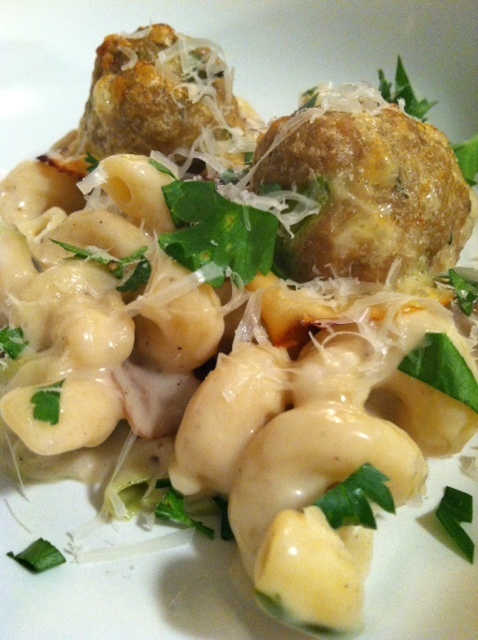 I made this recipe for friends on Friday night. Saturday we hung out here. Great beers and I suggest the Patty Melt! 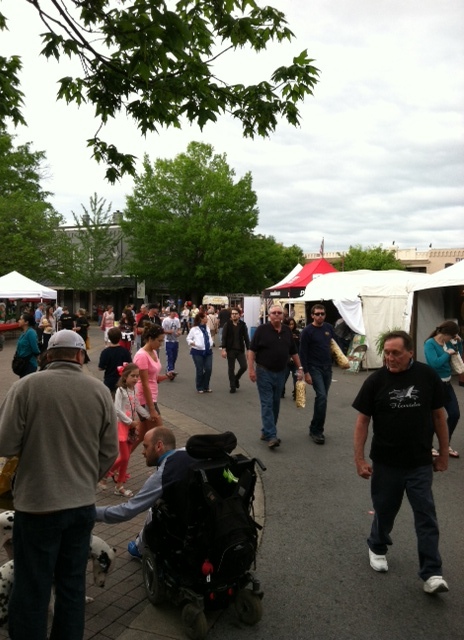 And Sunday we visited the Franklin Main Street Festival. Lots of great vendors and a good turnout. It ended up being beautiful outside after Saturday’s torrential downpours. 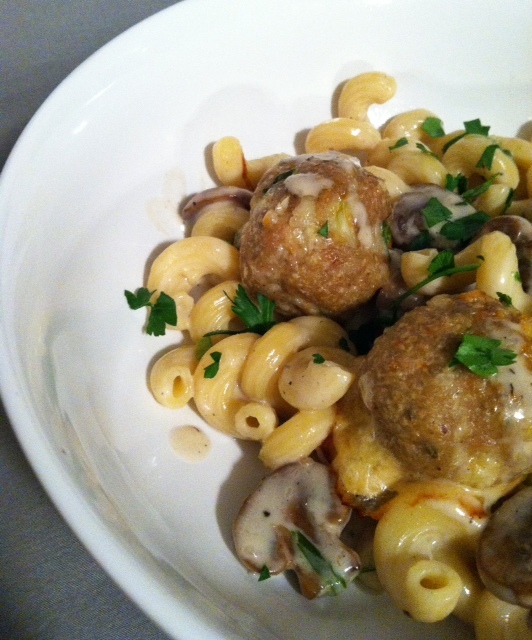 I never liked meatballs before I started this blog and now I feel like I make them all the time. They are very versatile. This pasta dish is really a treat. 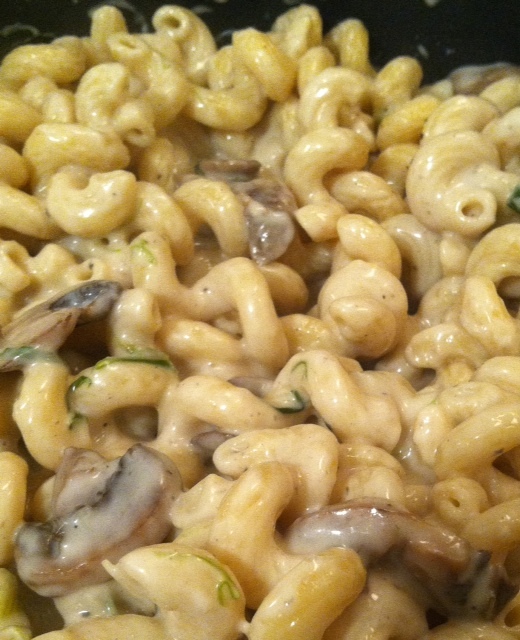 It has real cream, lots of Parmesan and any creamy pasta dish deserves mushrooms if you ask me. 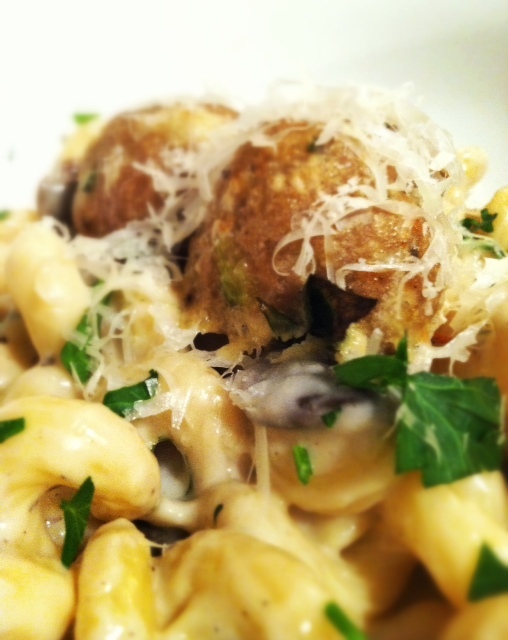 this pasta was so creamy! 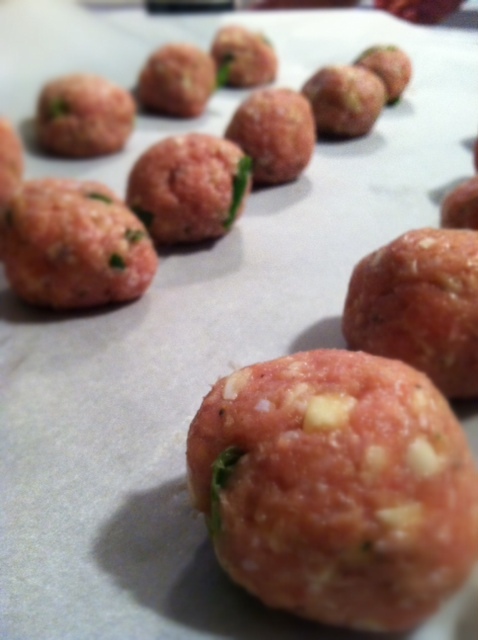 Combine all ingredients and form into 1-1 1/2 inch meatballs. Bake on parchment lined cooking sheet for 25-30 minutes or until cooked through. Meanwhile, heat oil in a large skillet or saucepan over medium heat. 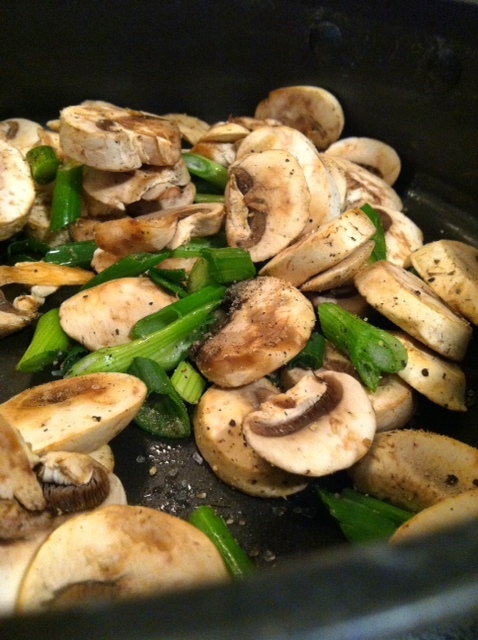 Add 1/2 cup scallions and mushrooms. Cook, stirring occasionally, about 5 minutes. Add flour, and cook, stirring constantly, 2 minutes more. Season with salt and pepper. Add broth; cover and simmer 20 minutes. 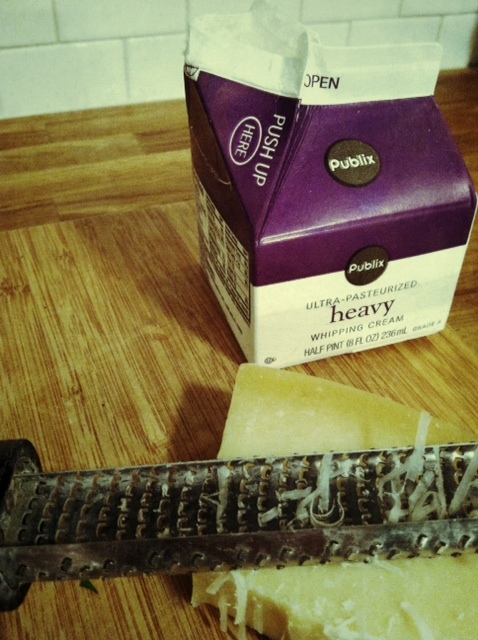 Add cream, and 1/2 cup Parmesan, and stir until sauce is slightly thickened. Add meatballs and pasta and stir gently to combine.